Handmade cards are the perfect finishing touch to a handmade gift! I love to challenge myself to use the fabric scraps left over from a new project design. These little Happy Scrappy cards are a great scrap buster project and can be quickly constructed. This would be a fun project for kids to make – they would have fun sorting through your fabric “scraps”. assorted fabric scraps – I used four fabrics from the same colour family in my cards. Fabric used is Tilda Harvest. I made cards in two sizes. The larger card used four fabric squares, each measuring 1 3/4 inches; and the smaller card used four squares measuring 1 inch. You can make the happy scrappy cards in whatever size you prefer. Cut four fabric scraps into squares. Cut a piece of double sided adhesive the same size as the fabric square and adhere it to the back of the fabric. Cut the card to size and add the four patchwork squares so that they are centred on the front of the card. Add a lace motif and attach to the middle of the card using a few drops of fabric adhesive. These cards were made from scraps of Tilda Harvest, the new Tilda range that will be available from August 1. 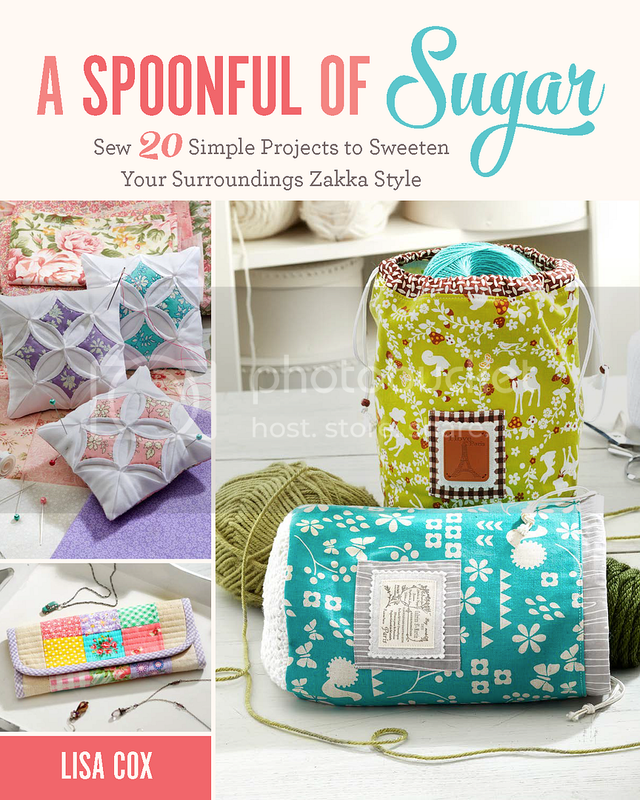 I have designed a new sewing project using these sweet fabrics. Stay tuned for the blog hop later this month which will coincide with my new pattern release. Disclaimer: This post contains affiliate links. Thanks to Two Green Zebras for providing the fabric used in this project. These are fantastic! Beautiful way to use up some scraps of fabric! Thanks for sharing this great idea!! Your cards are lovely! What a great way to use up fabric scraps!